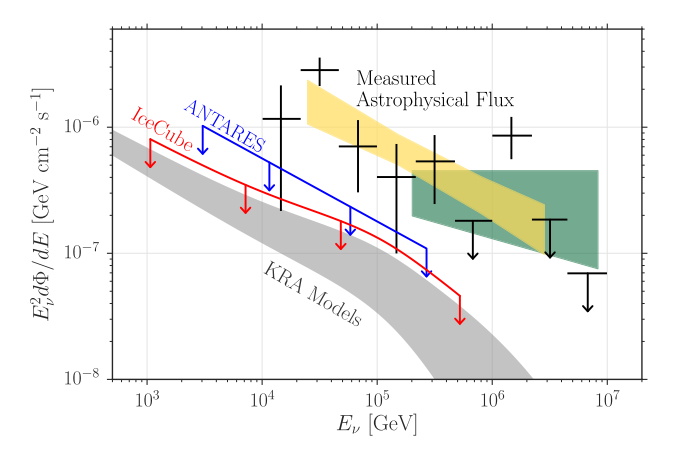 Back in 2013, the IceCube Collaboration published a paper announcing their discovery of astrophysical neutrinos, i.e. ones that have an origin outside our Solar System (Astrobites coverage). Since this discovery, scientists have been busily working to develop theories as to the origin of these neutrinos. The original paper noted some clustering in the area of the center of our Galaxy, but it was not statistically significant. Since then, both Galactic and extragalactic origins have been proposed. Star-forming galaxies have been suggested as one possible origin, which Astrobites has covered papers arguing both for and against (here and here). Other theories involve radio galaxies, transients, and dark matter. You should say “detection of astrophysical neutrinos”, rather than discovery. Neutrinos were detected from Supernova 1987A in the LMC thirty years ago; I don’t think even that was necessarily the first detection of neutrinos originating outside our Solar System.